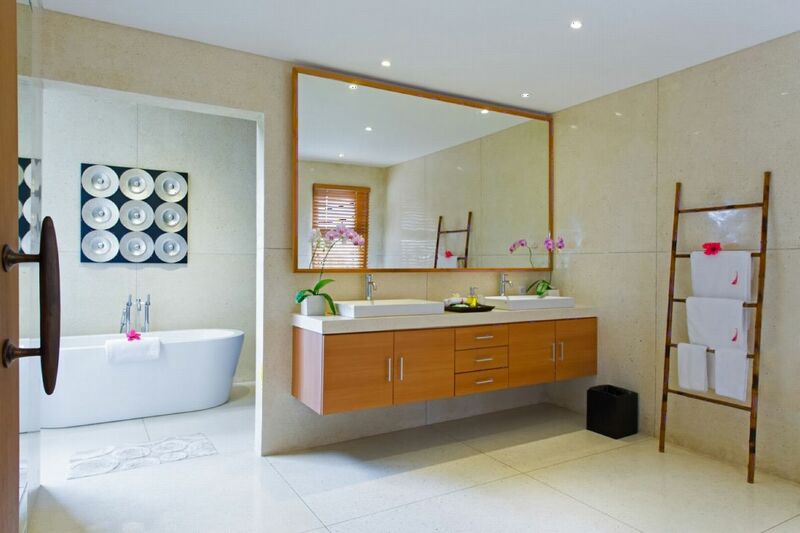 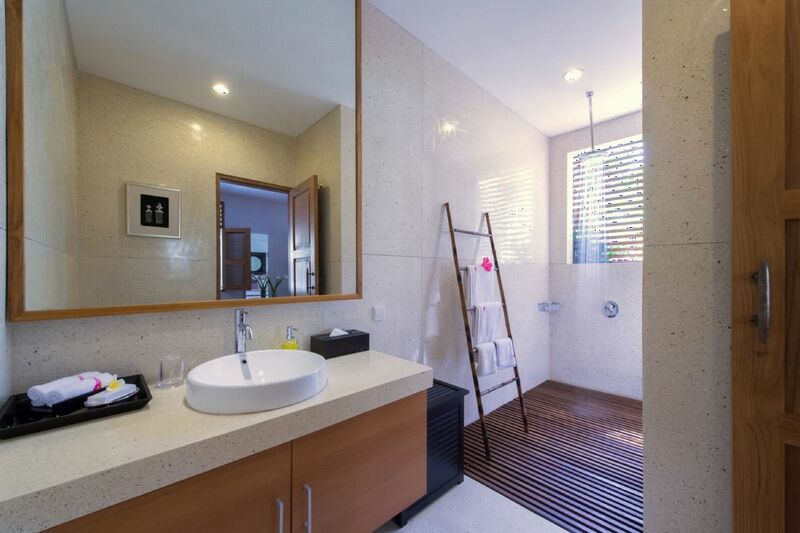 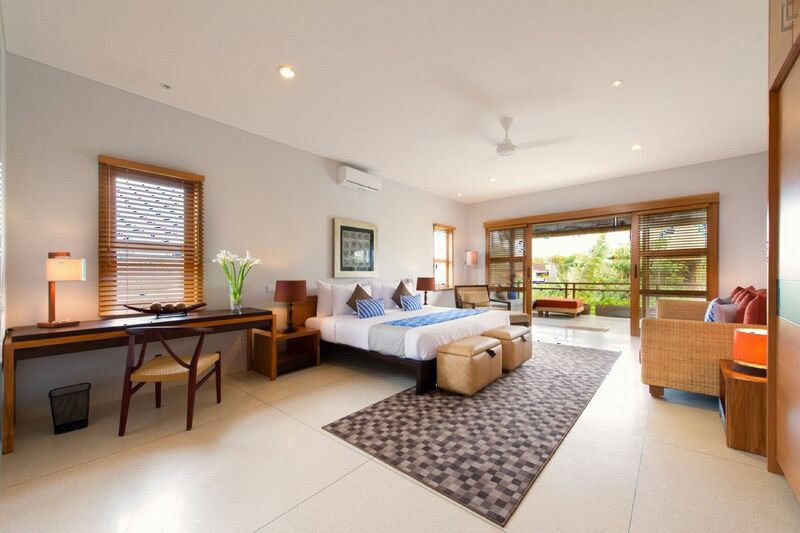 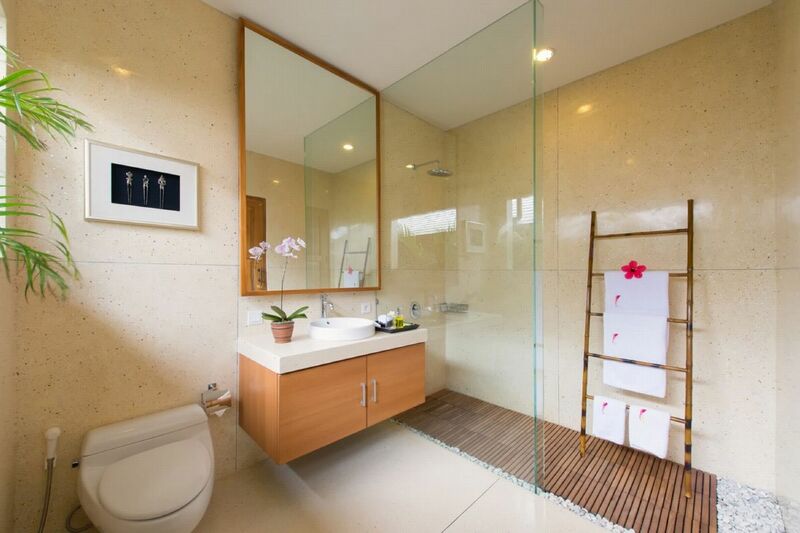 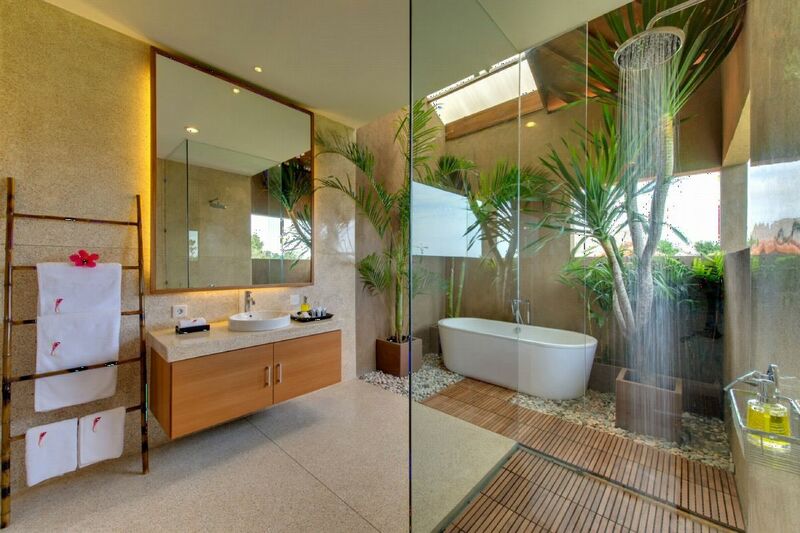 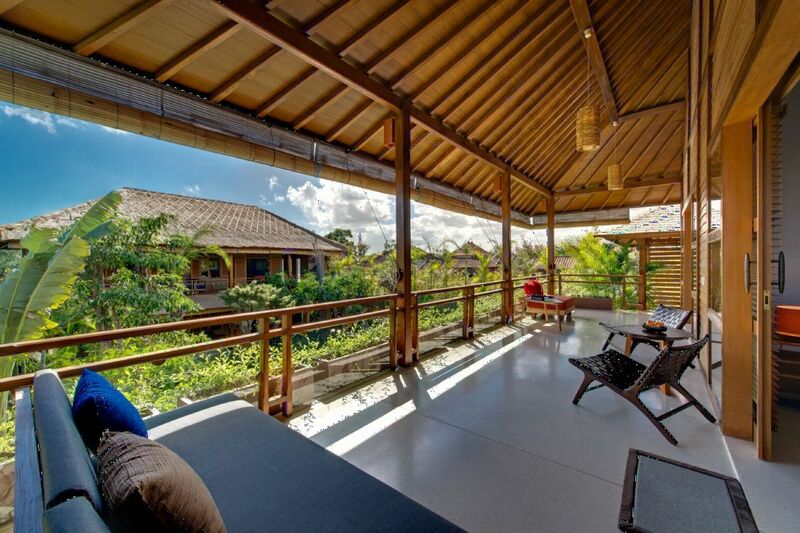 Kinara Villa is a newly built house, enjoying a stunning location on Bali’s southwest coast. 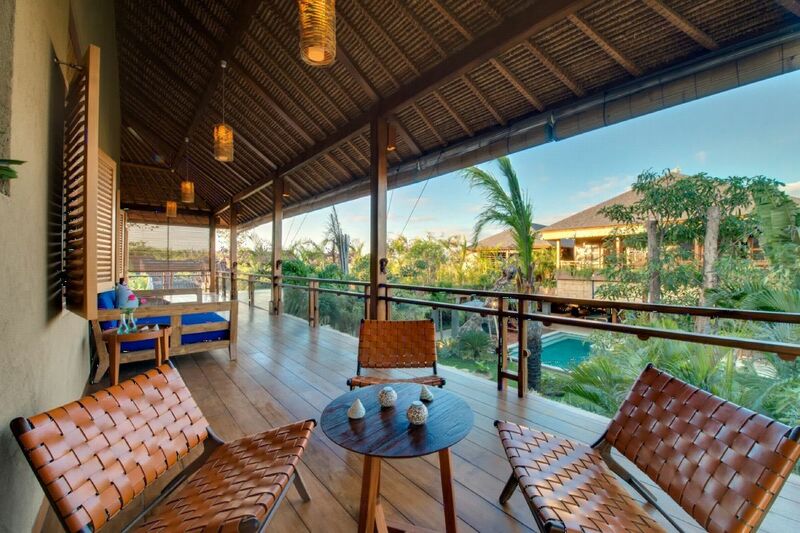 A few meters away from the Petitenget beach, you will be able to enjoy the famous sunsets on the sand. 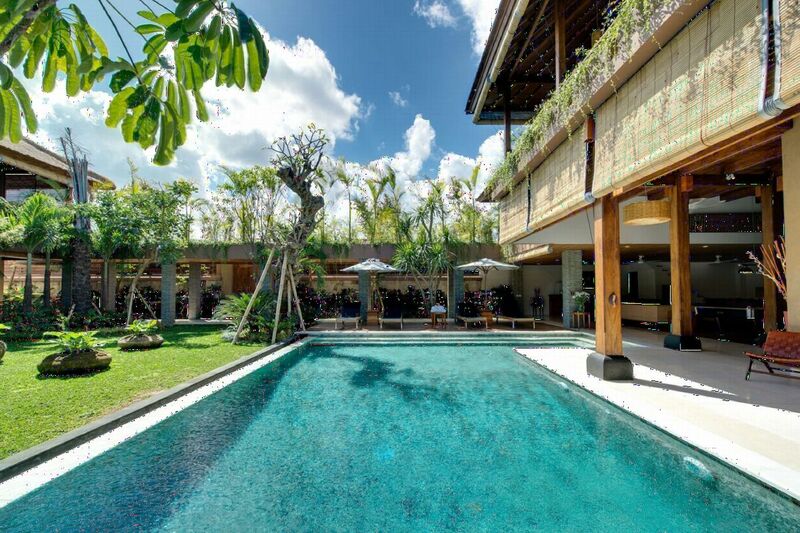 Besides the beach, the house is also closed to Seminyak’s restaurants, bars and shops… Kinara Villa is the perfect destination for groups of friends or families who want to relax in a peaceful and spacious place, close to everything. 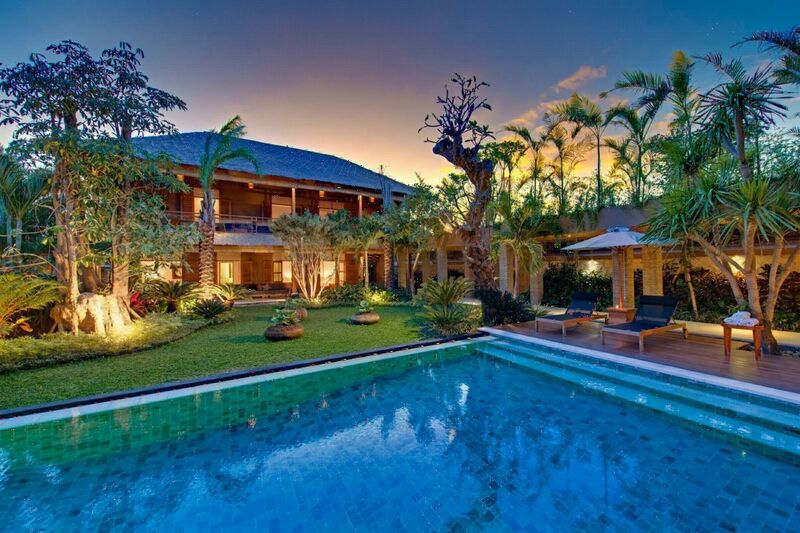 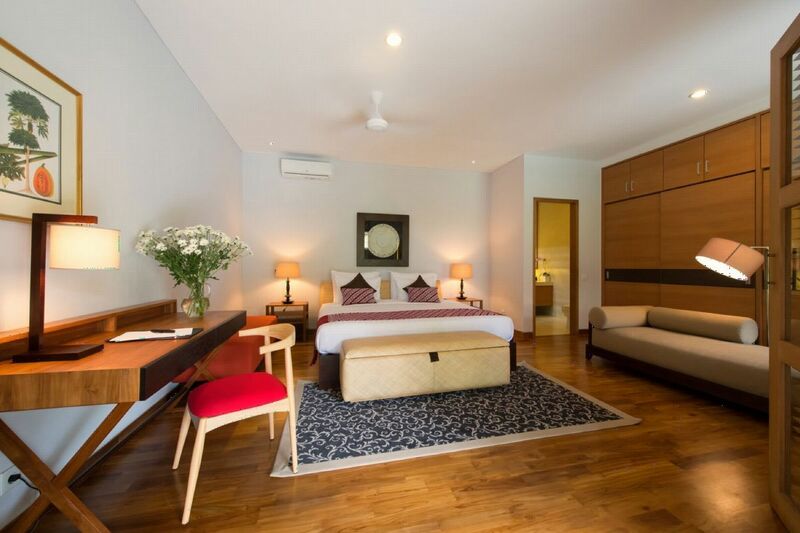 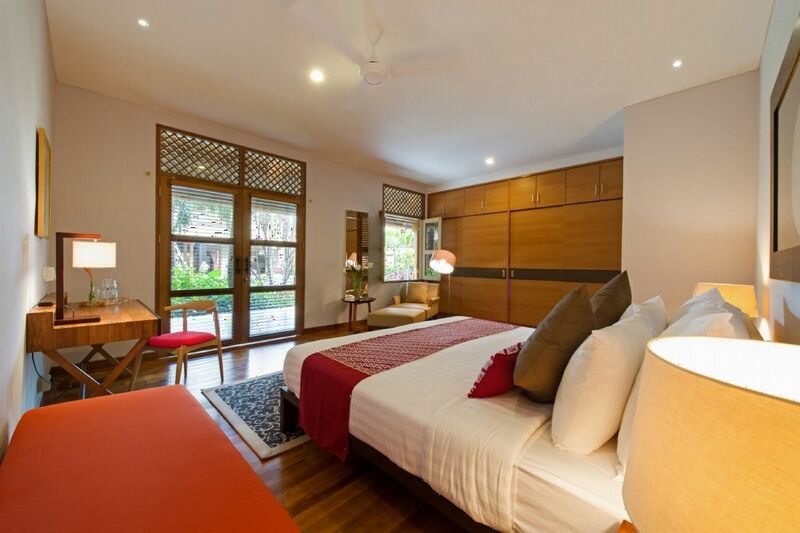 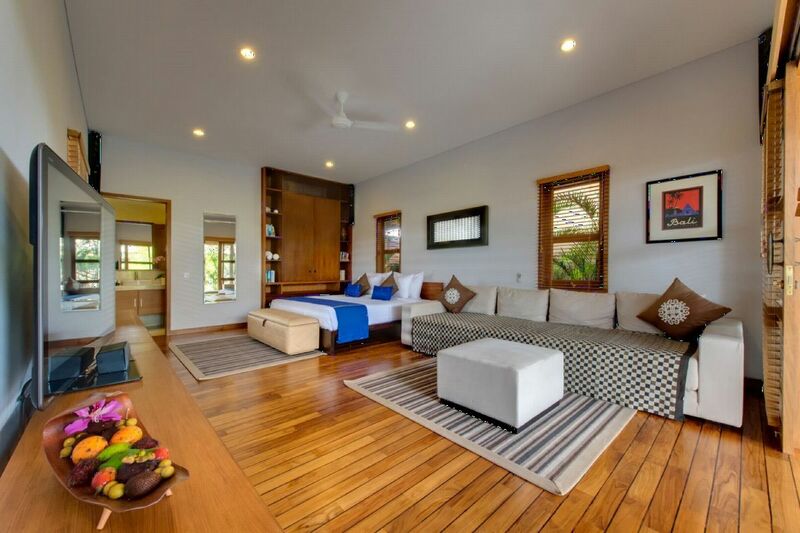 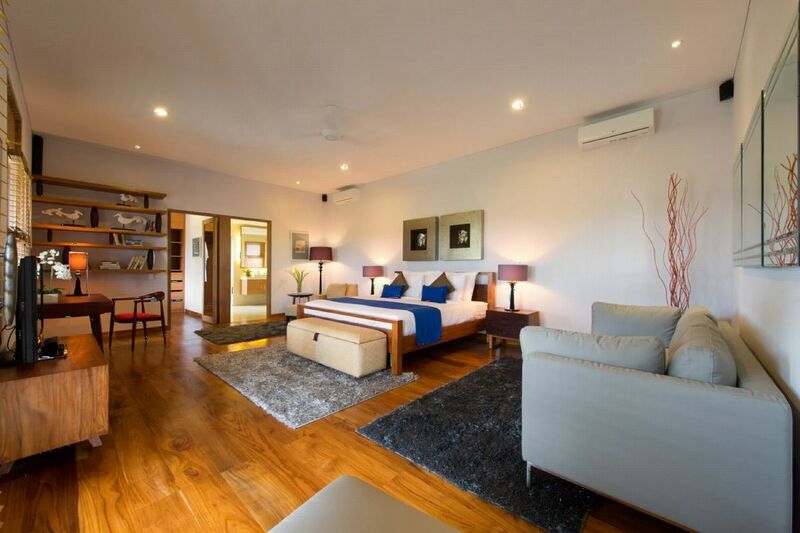 Villa Kinara offers you a unique place with its 6 huge bedrooms. 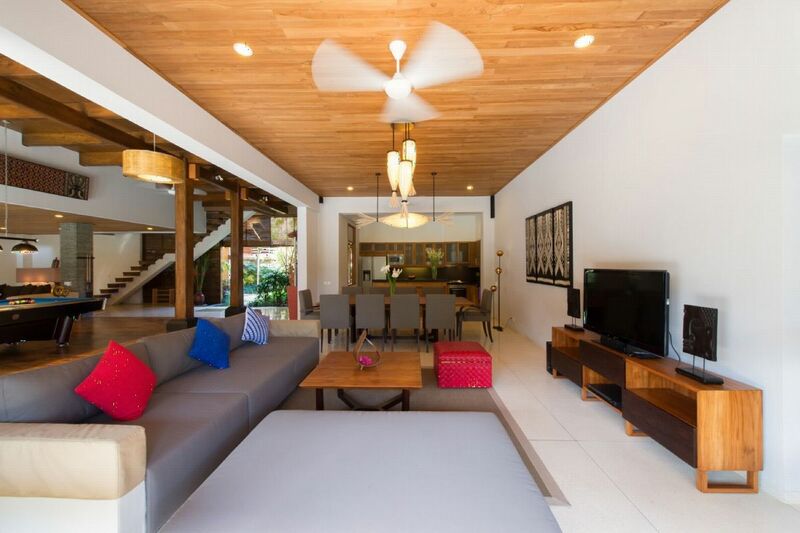 The open living area and its bar, the pool table, the 12 seats table and oversized sofas offer you an incredible “homestay” impression. 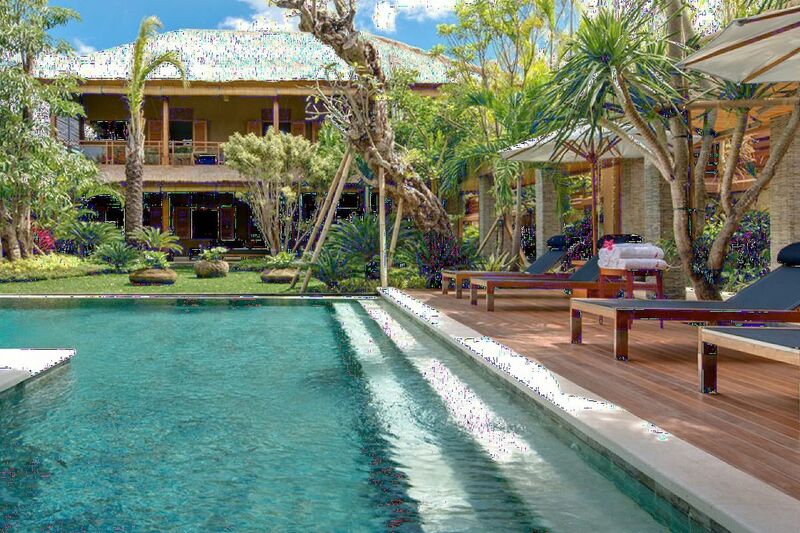 This peaceful and spacious Villa made of teak, bamboo and coconut wood is perfected with other natural minerals such as Palimanan stones and Yogyakarta lavastones. 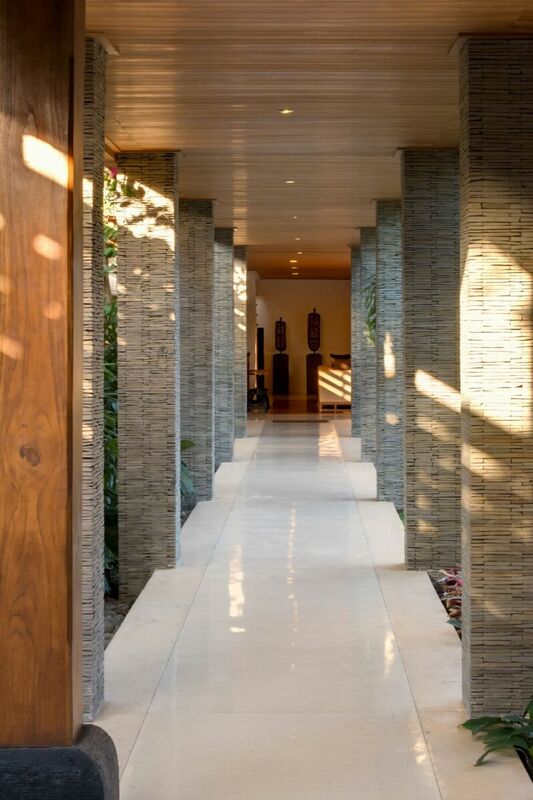 This combination of art wood and stone is only waiting for you to discover it. 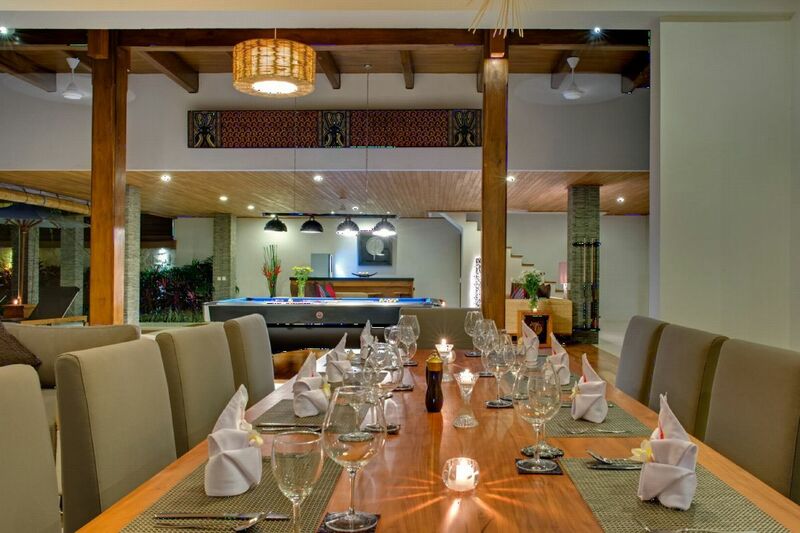 Dining area: dining table for 12 guests.